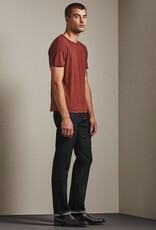 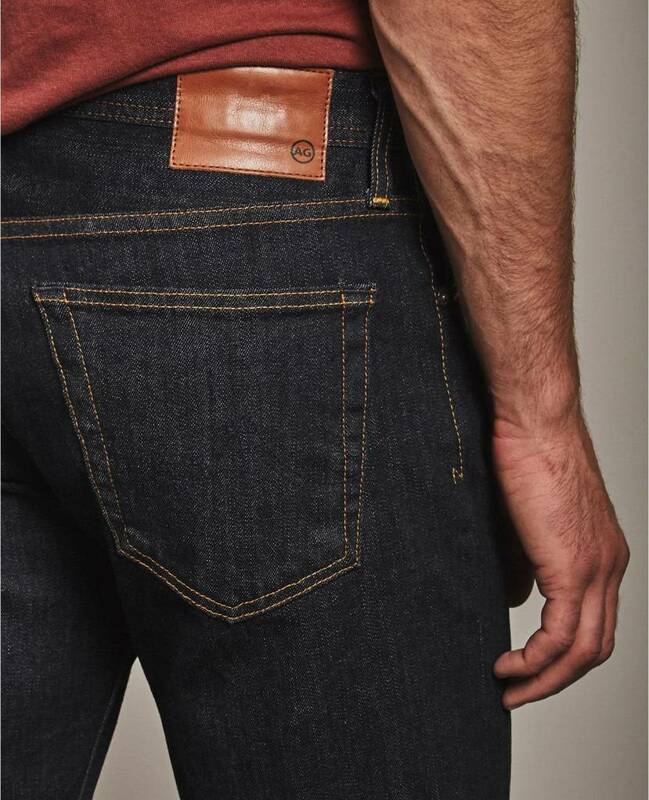 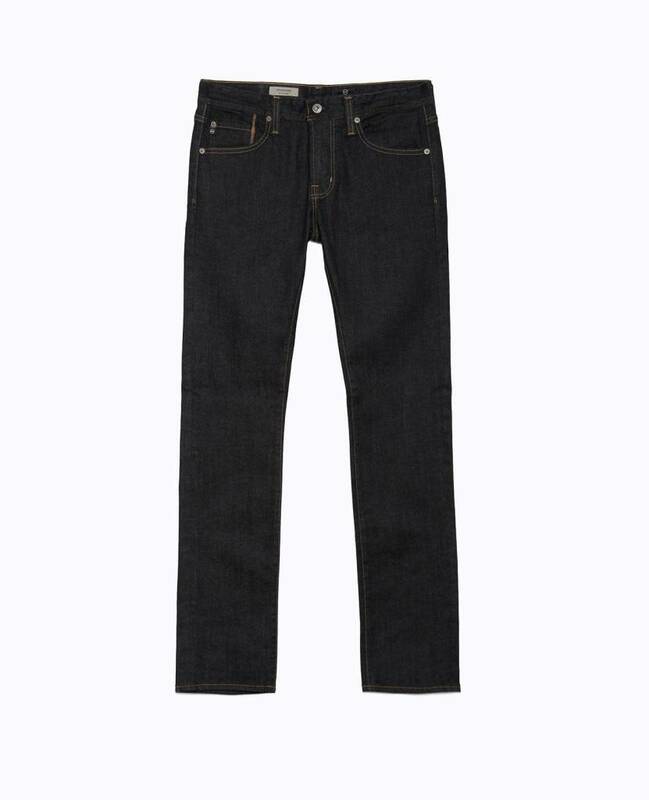 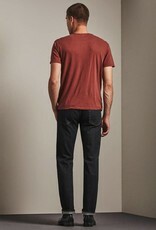 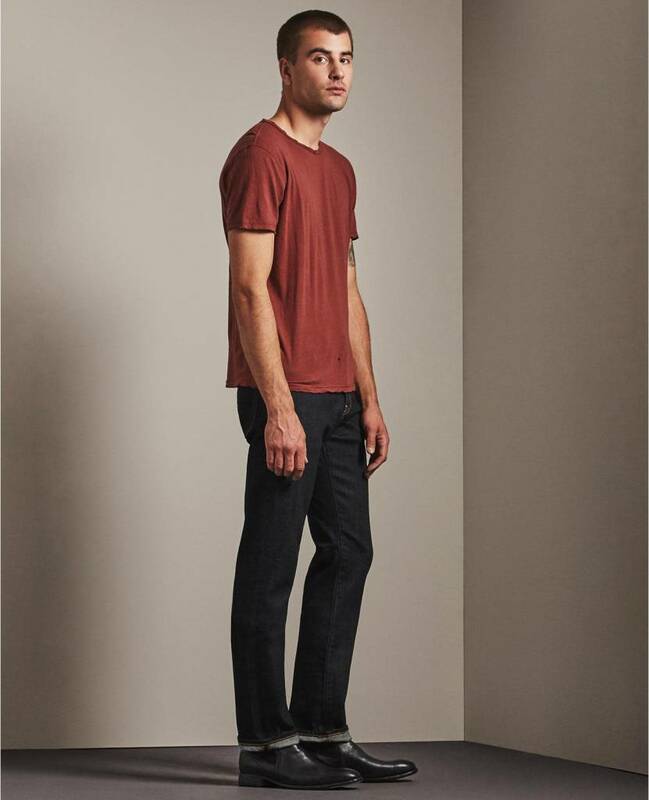 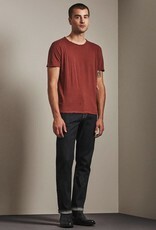 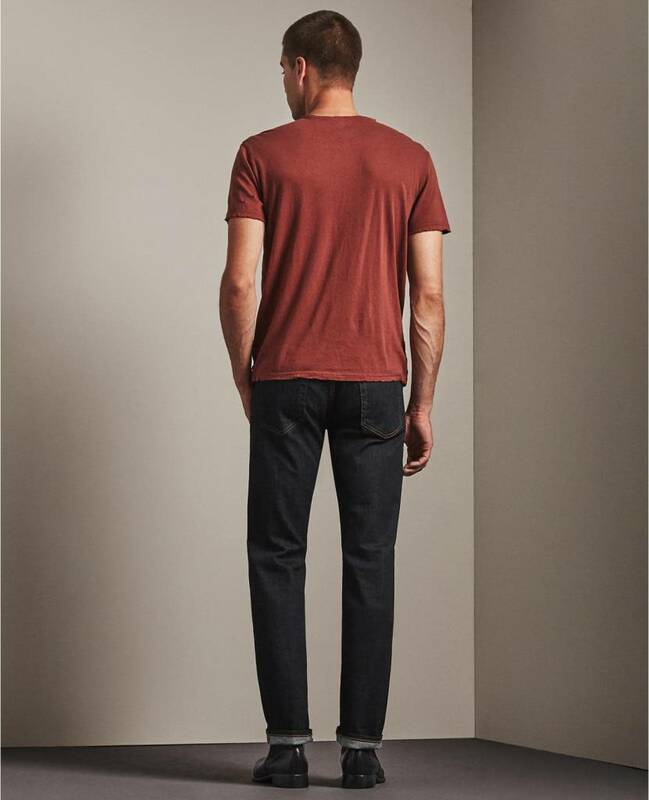 Slim-straight jean made from Japanese denim with a comfortable amount of stretch. 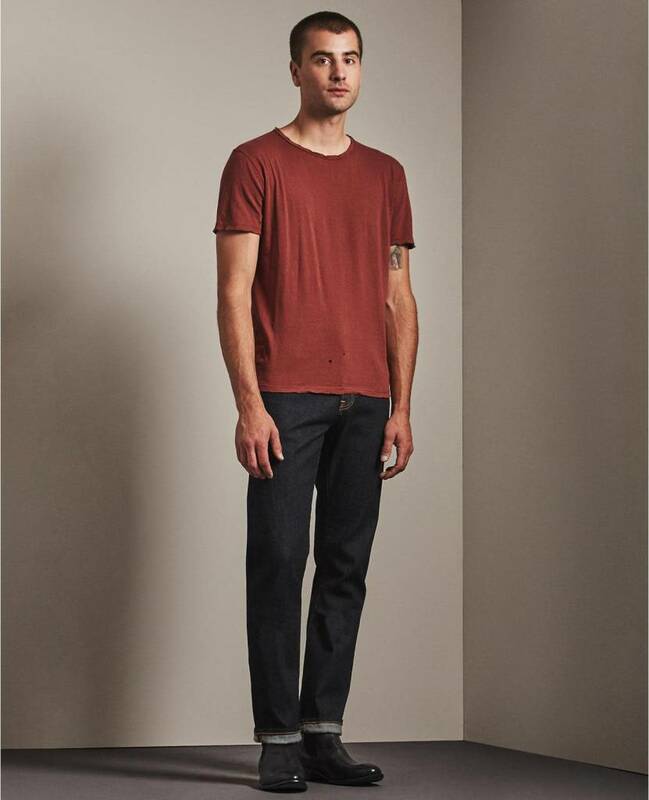 Dark indigo shade with classic marigold contrast stitching. 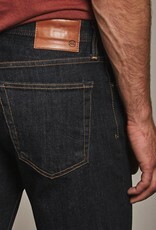 Five-pocket design. 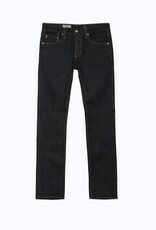 Zip fly, button closure.